Many of your first customers will be friends, colleagues or folks that are otherwise pre-disposed to buy from you. Because of this, you will inevitably run out of people you know who are qualified to buy what you are selling. So, what do you do when the warm leads run dry? The key to turning a cold lead warm is to identify a common ground, which you will use as an entry point into the target organization. This entry point is typically not the person who will be buying your product or service, rather the individual who will help you find the buyer and will most likely be giving you an implied endorsement along the way. Finding a “common ground” entry point is a technique that I’ve used with great success in the past and is perhaps best illustrated with some examples. In the following case, we were attempting to find the right person at a mid-sized organization. Typically, we sell to marketing people and I was having a tough time discerning who exactly the right person at this company was. I happened to notice on LinkedIn that the CFO of this company had been a member of the same fraternity as me, though at different campuses and different eras. I sent him a cold email introducing myself as a fraternity brother and explained what I was trying to do, and asked for help finding the right person in his company. The CFO replied almost instantly with a nice note in which he identified the right contact at his organization (whom he’d copied on the reply) and asked that this person connect with me to discuss further. In that instance we went from having no knowledge of who the buyer was and no way to contact them, to knowing exactly who would be making the buying decision and a warm lead from the CFO! I know what you’re thinking: This is just some frat boy insider baseball. Fair enough. To help dispel that conclusion, here are a few more instances that show just how tenuous “common ground” can be to make this work. We were attempting to get a meeting with right person at a Fortune 50 technology company. I knew who the right person was (it was well documented because it was such a massive, well known company). But, I had no source of a warm introduction to that person. 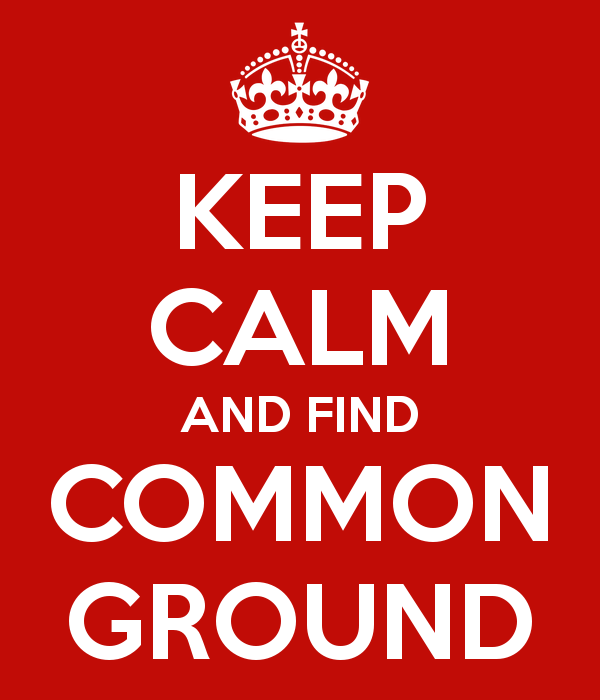 So, I started looking for a good entry point where I had some “common ground”. I did research on LinkedIn and found a VP who had joined the company a few years earlier by way of acquisition. He had a long list of start-up and founder experience on his resume. Then, I fired off a quick email introducing myself, explained the situation I was in, and asked him if he would be comfortable making an intro to the contact I was targeting. I briefly referenced his entrepreneurial background and that I presumed he had probably been in my shoes at some point while he was building his start-up. I didn’t hear anything for a couple weeks and figured my email may have fallen flat or been disregarded altogether. But, to my pleasant surprise, a reply did come. He apologized for the delayed reply, said “he’d be happy to make the introduction” and asked for some additional context so he could write it up. I quickly gave him what he needed and the introduction came shortly thereafter. Maybe you’re thinking to yourself that there is just something magical about this founder-to-founder connection that can’t work for a lowly sales or biz dev person who didn’t found the company they are working for? I can confidently tell you that is not the case based off of this last example. In one of my first sales jobs I was trying to find a contact at a large start-up that I thought would be a perfect prospect. I had tried and failed a few times to reach the person who I thought was the buyer. So, I took another tactic. I went back to the well and found the person at this target company that appeared to have the most well manicured LinkedIn profile. My thought was that I could use this as a proxy for engagement on the service, i.e. if they had spent so much time building up their profile they likely would be responsive to a contact through the service. The person I found wasn’t in the same department as the person I identified as the target buyer, nor were they an executive, but, I sent an InMail explaining that I would love to connect with whomever would be the right person to talk to about the product we were selling. Within a day he had replied telling me he wasn’t sure whom I should be talking to but he’d do his best to find out. Within a week he had connected me to the person that ran the acquisition marketing group that I had tried, and failed, to connect with on my own. Keep in mind that my only connection to this person was that we were both happened to be users of LinkedIn! In most cases I’ve been targeting non-buyers. That is, the people I’ve contacted weren’t the folks that would ultimately be buying my product. I’ve found that these types of folks are more receptive because they don’t feel like they are at risk of “being sold to”. People like to be helpful. Most people want to help out where they can and forwarding an email is as about as low friction as favors get. Karma. I’m a connector and am always happy to make introductions when asked. As such, it has always been easy for me to ask for introductions from others. Two out of these three opportunities (the first and third) ultimately converted into sales. But, the contact I made in the second example ended up making a second introduction to a colleague of his at another company, which ultimately did convert to a sale.